EndaceODE™️ appliances are designed to meet the needs of organizations looking to build their own customized packet capture and processing solutions. They are widely used on some of the world’s largest and most complex networks belonging to global telecommunication companies, banks and financial institutions, web giants, governments and defence agencies. 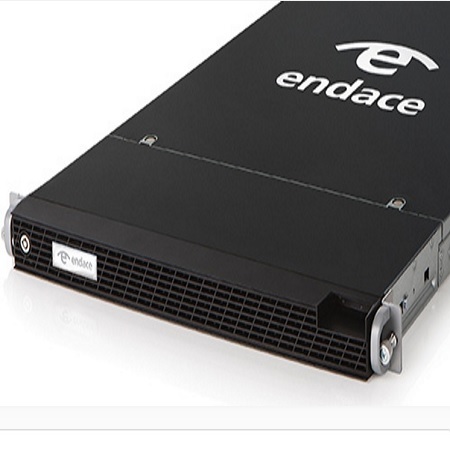 EndaceODE appliances combine the guaranteed 100% data capture, proven performance and reliability of Endace DAG™ Data Capture cards with a highly optimized server platform. They offer a scalable, high-performance platform for use where commodity servers and network interface cards (NICs) simply cannot perform at the speeds or accuracy levels required. EndaceODE appliances have been engineered to handle the demands of continuous packet data processing on multiple 10GbE or SONET OC192/SDH STM64 links. They come with optimized drivers and are designed from the ground up to function as an integrated system that is fully supported by Endace, and run a standard Linux operating system (OS) that can be used as is, enhanced or scrubbed, depending on the application requirements. This makes EndaceODE appliances easy to customize, and compatible with a wide range of security and network performance monitoring, archival, lawful intercept and other applications. The built-in DAG data capture cards offload packet capture and processing overhead to onboard hardware, freeing up host CPU cycles for use by hosted applications. Because of this, no other customizable platform comes close to delivering similar levels of performance and efficiency.